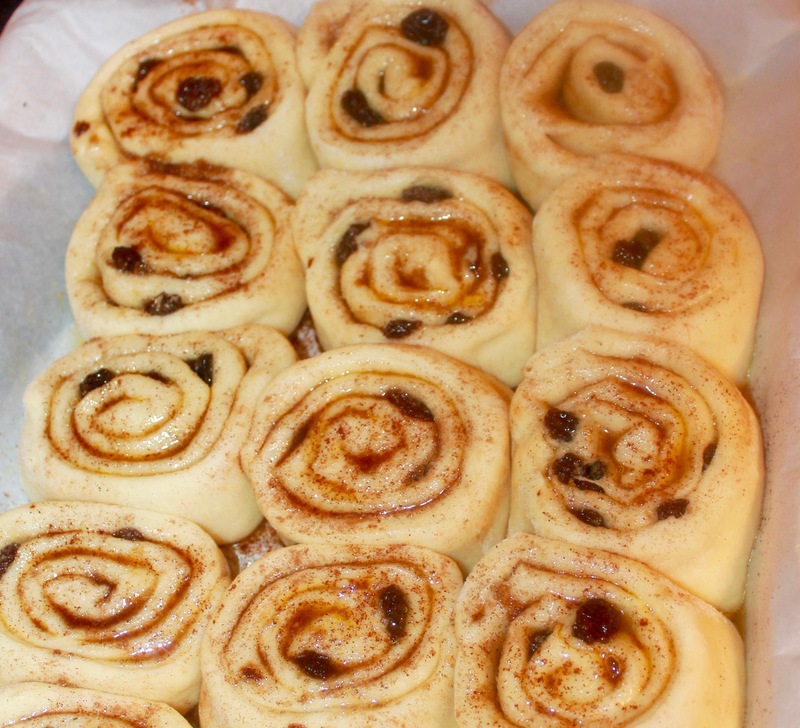 Cinnamon rolls with raisins, are one of my all time favorite treats. They’re always an amazing treat for breakfast, lunch, dinner, or even dessert. However, as much as I love cinnamon rolls, I do not like the ones that are store bought. In fact, cinnamon rolls that are store bought tend to be too sweet and too processed. Which is why I prefer to make my own cinnamon rolls from scratch. 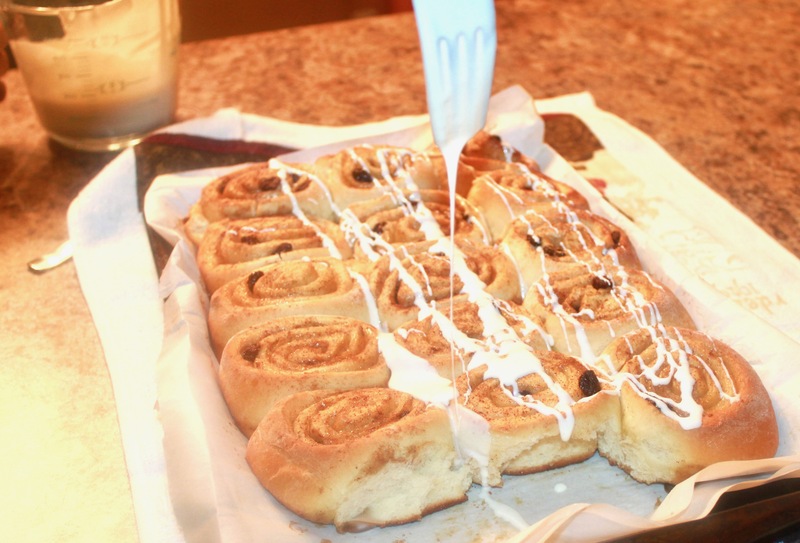 In the south we eat our cinnamon rolls with raisins in them and this recipe is no different. If you’re trying to eat a bit healthier, then you can cut down on the sugar and add more raisins. 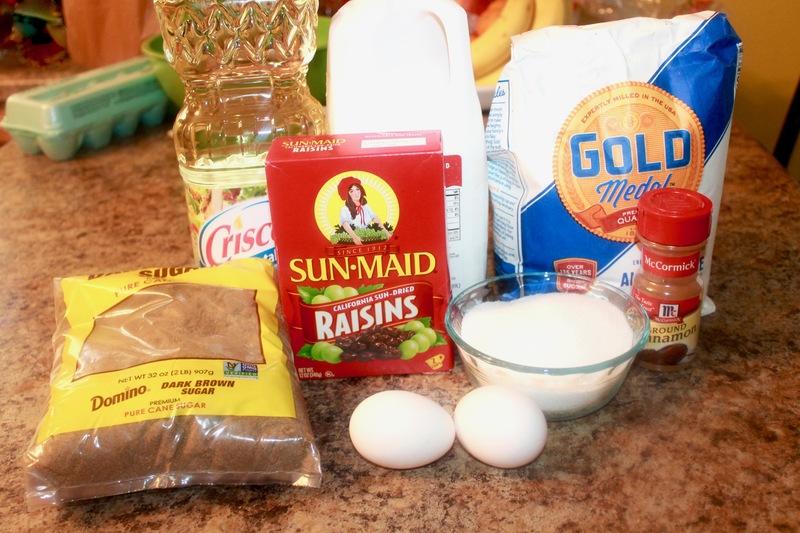 The raisins can act as more of a natural sweetener, rather than using the processed sugar. This is the perfect cinnamon roll recipe because it’s delicious, quick, and easy. I’m not sure which one I love more cinnamon rolls or chocolate cake. By the way if you’re in need of a mouthwatering and decadent chocolate cake recipe, be sure to click here. This is such a great recipe for when you have a craving for something sweet, but don’t want to feel guilty for indulging. Keep reading for the homemade cinnamon roll recipe and the delicious finished treat. You may eat the whole pan of cinnamon rolls, because they’re just that good! As always before you start baking, you need a list of your ingredients. This list of ingredients is more in-depth, because it has the ingredients for the cinnamon rolls, the filling, and of course the cream cheese glaze. You will use all these ingredients, but they are broken down because they will be used separately for the dough, filling, and the glaze. The very first step of this recipe is to add all of your ingredients together in a bowl. Add 1 tablespoon of instant dry yeast, 2 tablespoons of white granulated sugar, 1 teaspoon of salt, 3 tablespoons of salted softened butter, 2 eggs, and 1 cup of warm milk. Then begin to mix everything together on low speed. 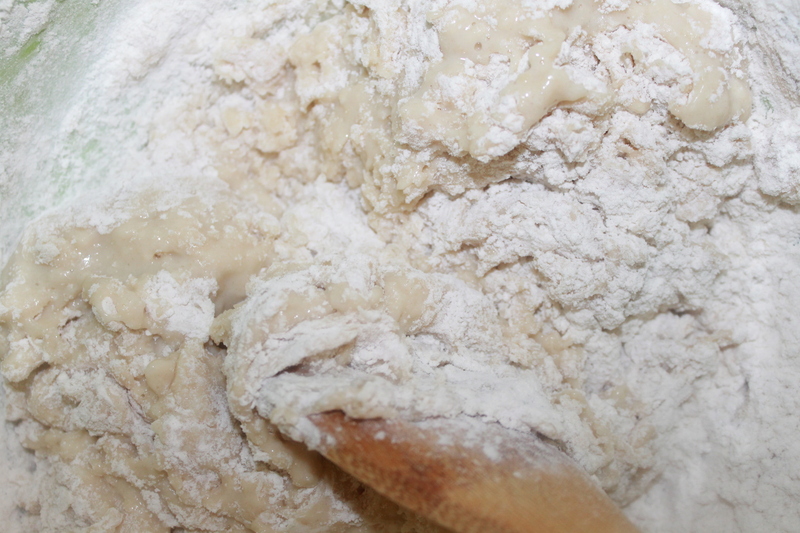 Then begin to add your 3 cups of all-purpose flour into the dough, and increase the speed to medium. Once your dough is finished it should be soft and tacky, and should not stick to your hands at all. 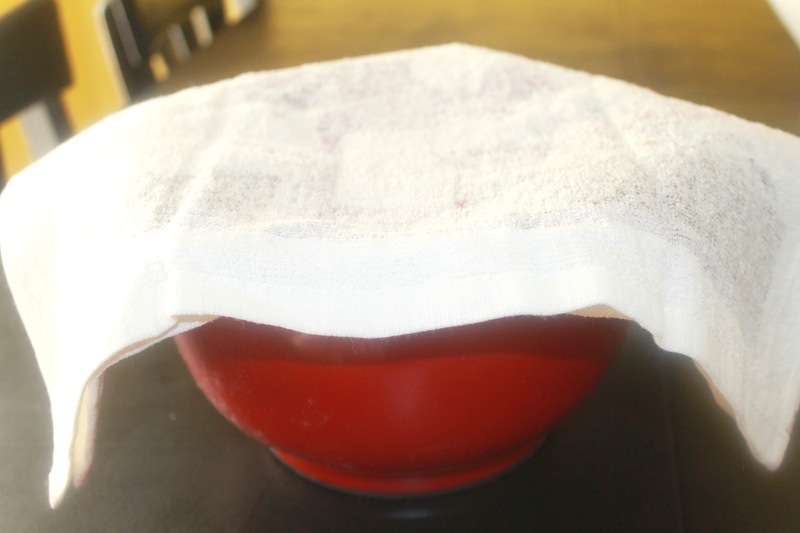 Then place your dough in a greased mixing bowl and cover it with a towel for about an hour. Since your dough recipe contains yeast, this will allow your dough time to rise. While you’re waiting for your dough to rise, you can being to make the filling for your cinnamon rolls. 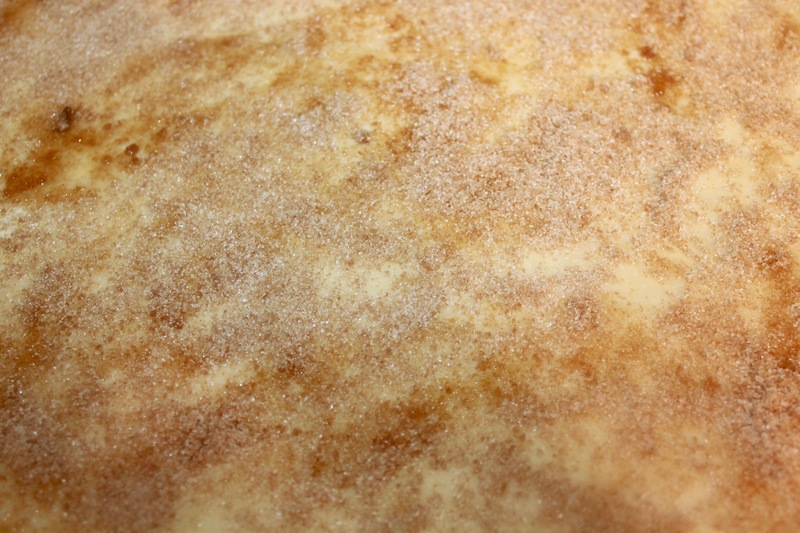 The filling only contains three ingredients; brown sugar, ground cinnamon, and melted butter. 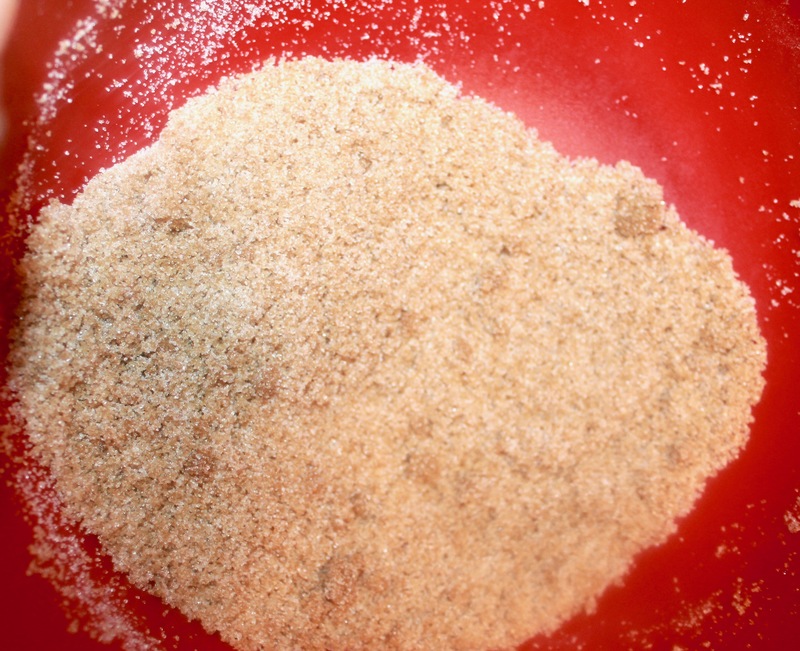 In a smaller bowl combine 1 cup of brown sugar, and 2 tablespoons of ground cinnamon. 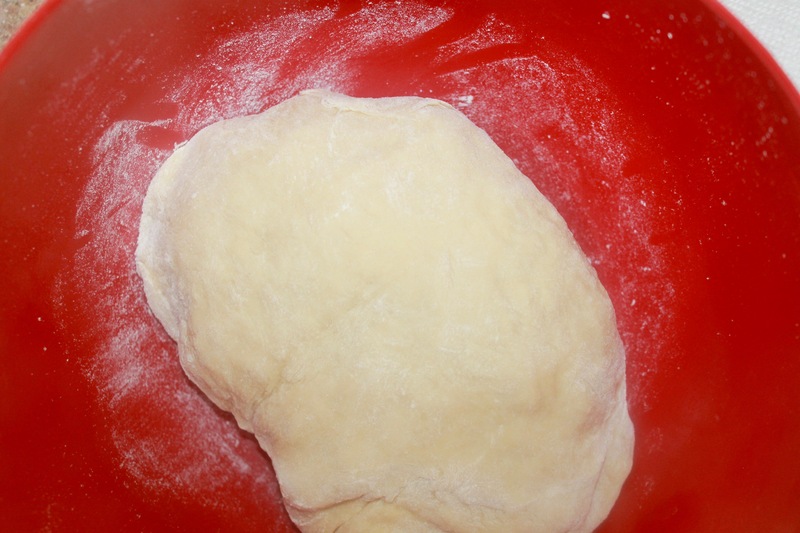 After you’ve let your dough rise, roll out your dough, and spread 1/2 cup of melted salted butter on it. Once you finished sprinkling on your brown sugar and cinnamon, you can begin to add raisins (if you desire). 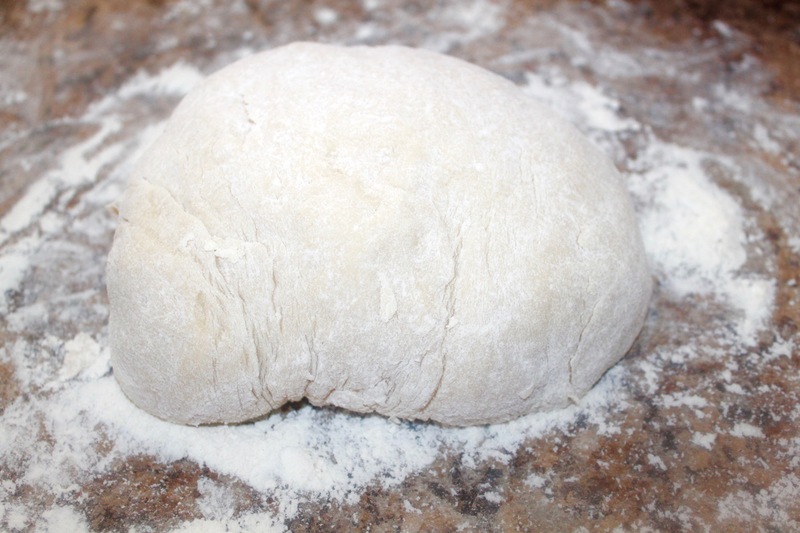 After you’ve added in filling ingredients, then you will begin to tightly roll your dough. 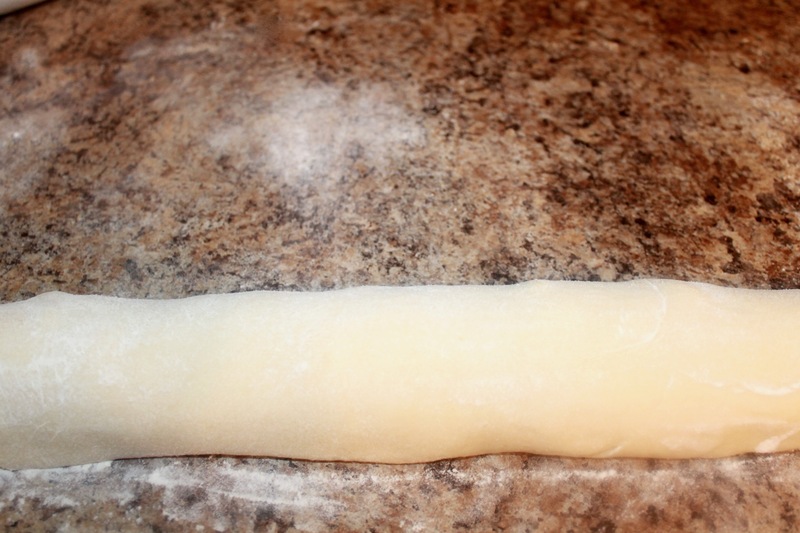 Continue to roll your dough and then you can use a knife to cut your dough into one-inch slices. 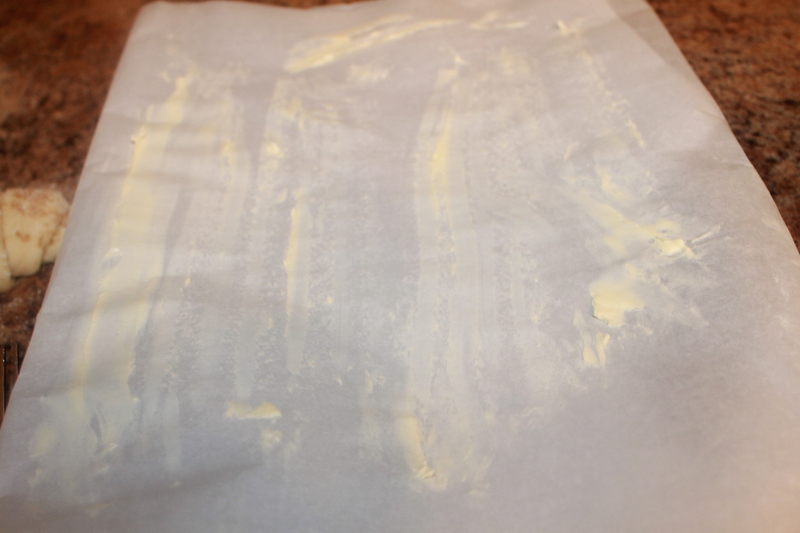 Lightly grease a pan or parchment paper, and preheat your oven to 325 degrees. Place your cinnamon rolls onto the lightly greased pan or parchment paper for about 30 minutes, to allow them to puff before you put them in the oven. They will cook for about 25- 30 minutes, or until the tops are a light golden brown. While you’re waiting for your cinnamon rolls to finish baking, you can begin to make your homemade cream cheese glaze. First, you will mix 4 ounces of softened cream cheese, 1/4 cup of softened salted butter in a bowl until it’s light and fluffy. Then you can add 1 to 1 1/4 cups of powdered sugar and 1/2 teaspoons vanilla extract. The 1 to 2 tablespoons of milk is added to give the drizzle effect, so make sure that you’re adding in enough. After you remove your cinnamon rolls from the oven, you can drizzle them with glaze. Sorry guys I ate two! 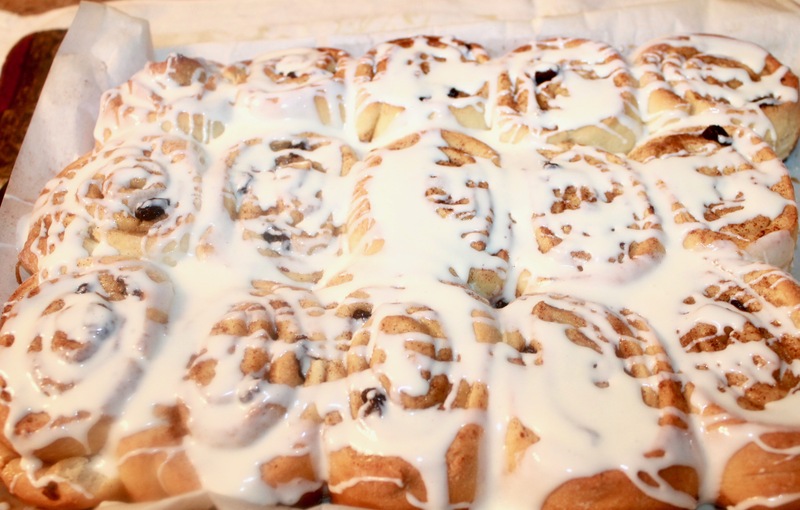 These delicious homemade cinnamon rolls with raisins and homemade cream cheese glaze, are ready to be enjoyed by you and your loved ones. I would also recommend a nice cup of hot coffee or tea to go with this yummy treat! I hope that y’all enjoyed this post! What’s your favorite go to treat? 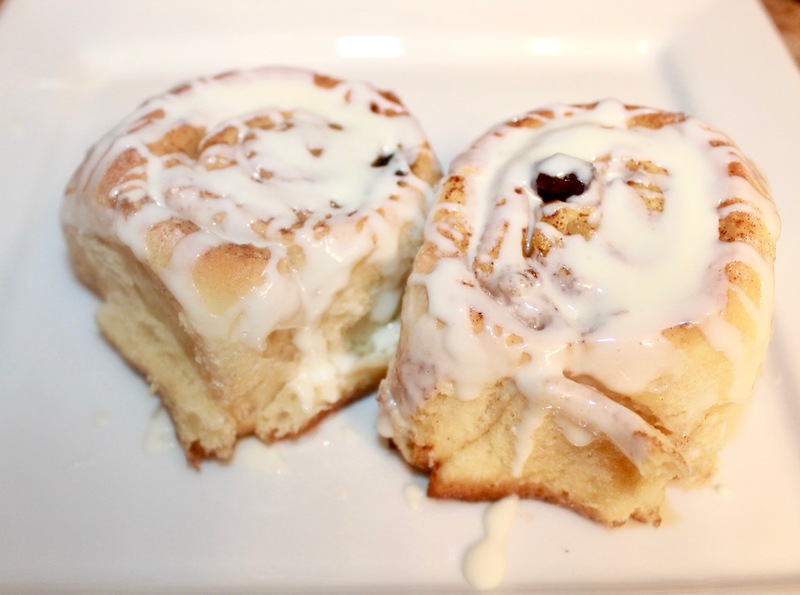 Do you like you Cinnamon Rolls with or without raisins? Feel free to let us know in the comment section. 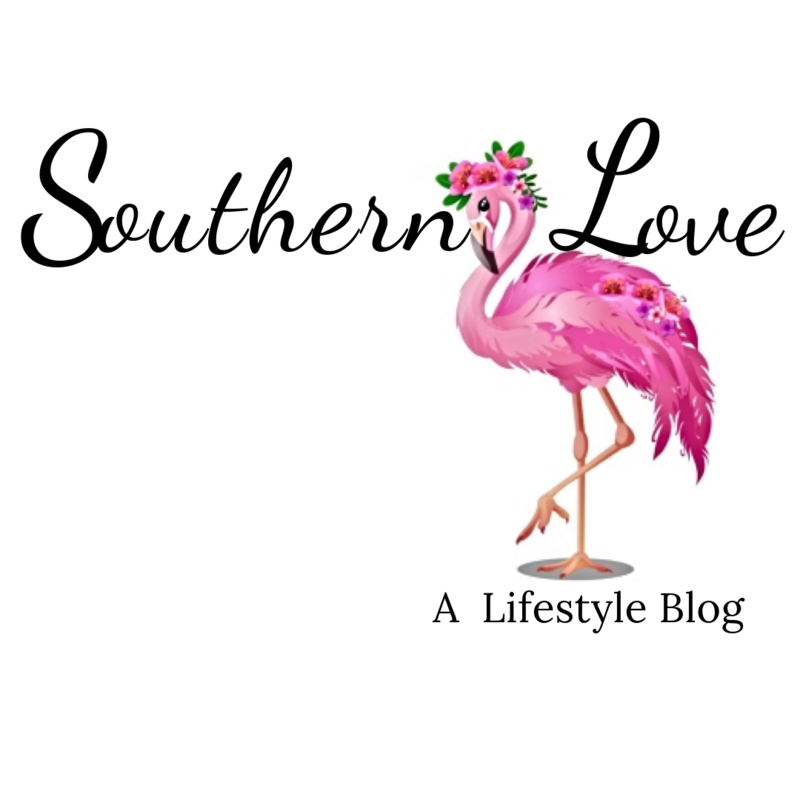 If you would like to see more great Southern Love recipes, be sure to click here. They look soo good! I can’t wait to try this! They’re absolutely delicious, I hope you enjoy them! Thank you stopping by and I hope you have a wonderful day! My husband loves cinnamon rolls so I will have to try to make these for him! I love the added raisins. 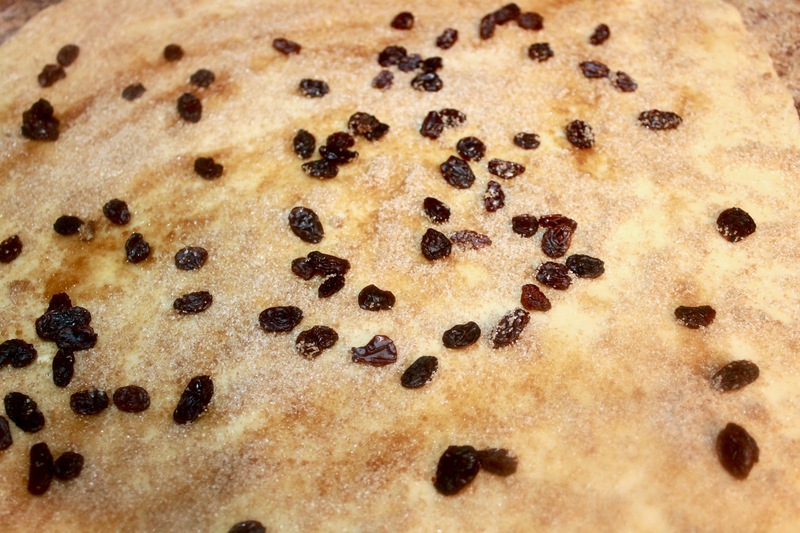 If you don’t like a lot processed of sugar, the raisins add a natural sweetness to the cinnamon rolls! I hope y’all enjoy them! Have a wonderful day!! I’ve recently found a different recipe for these and they are so much easier than I though! That’s what I love about cinnamon rolls, it’s not a difficult recipe at all. It’s easy and the end results are always delicious! Thank you for stopping by, I hope you have a wonderful day! My boys love cinnamon rolls. I haven’t found a good recipe that they really love yet, though. I’ll have to give this one a try and see how they like it. 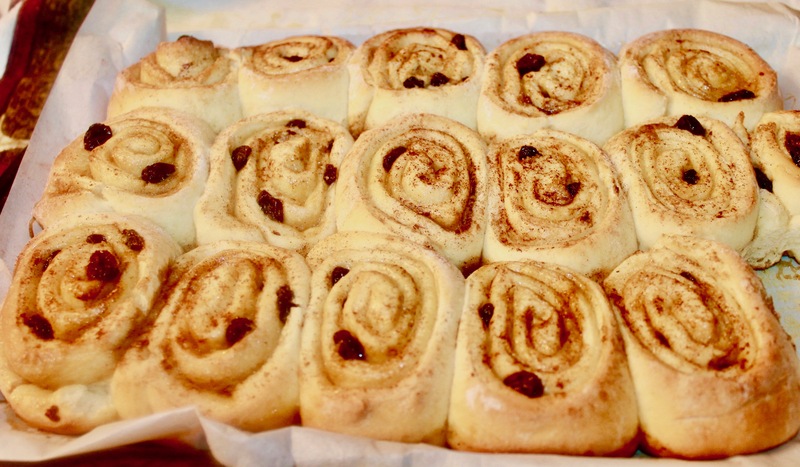 This recipe is really delicious, all the cinnamon rolls were eaten within a day! Hopefully your boys will love this one! Thank you for stopping by, and I hope you have a great day! This looks so delicious, as cinnamon is my favorite ingredient I love to add it in my food. Thanks for sharing this amazing recipe I’m definitely going to try this out. Thank you so much! The great thing about baking you can determine how much sugar you use. You can substitute natural sweeteners or incorporate more cinnamon and raisins. The cream cheese glaze is optional, they’re just as good without it! Thank you for stopping by, I hope you have a lovely day! These are really good and they’re extremely fluffy! It takes a little extra time, but you have more control when you do your own baking. I hope that you enjoy them and thank you for stopping by! I eat cinnamon rolls a lot bit without the glaze. Now that I’ve read about this recipe, I should be trying out the glazed cinnamon rolls. I look forward to making my C rolls. Thanks for sharing this recipe. It inspires the chef in me. I like to eat them both ways, because they taste just as good without the glaze. I hope you enjoy them, and thank you for taking the time to comment! I hope you have a wonderful day! Thank you, Jennifer. This is a great recipe, little scare to try but I will. 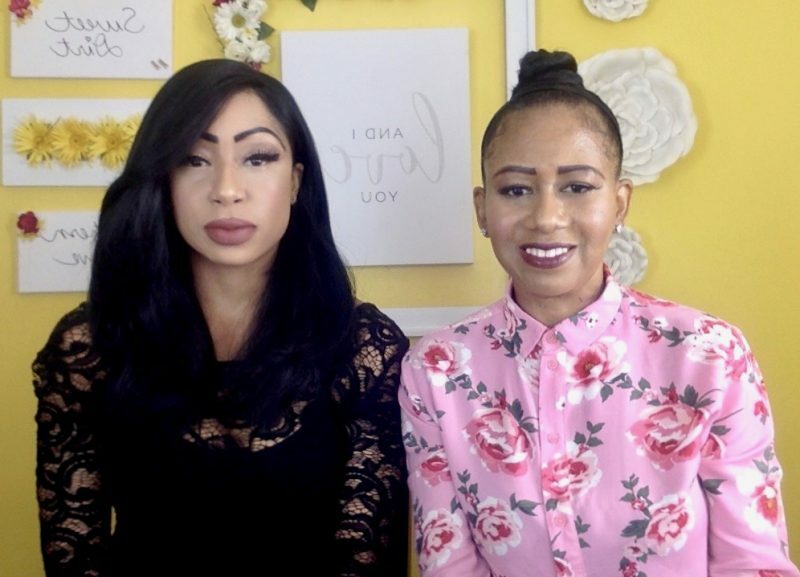 Have you ever tried using Splenda sugar instead of using the regular one? thanks for sharing. You’re so welcome! Don’t be afraid, I failed a few times, before I finally got it right. I’ve never tried using Splenda sugar, but you do need the 2 tablespoons of sugar, and the warm milk to interactive with the yeast. In order for your rolls to rise. 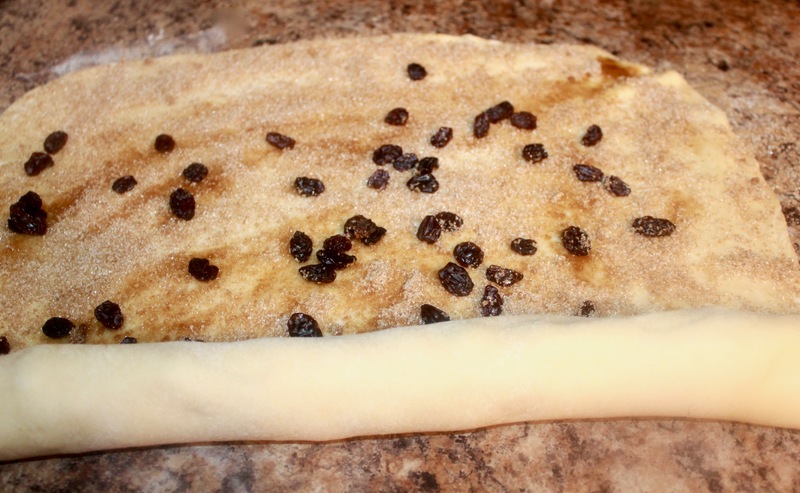 You can cut out the brown sugar and use more cinnamon and raisins for the sweetness. Thank you so much for stopping by and I hope you have an amazing day! It’s true, store bought cinnamon rolls are just too sweet. And your version of cinnamon rolls seems so delish. I really loved eating cinnamon rolls but never tried to make this. Thank you for sharing your recipe and I will definitely making this not only for my family but also with my friends. So delicious! I never add raisins to mine! That would definitely be a good difference, and with vegan cream cheese! I really love cinnamon rolls and would definitely try out the recipe. This one looks really delicious. Thanks for sharing! These cinnamon buns look so delectable they would be perfect with coffee for amid morning snack. Bookmarking the recipe to make soon. Thank you so much! They are absolutely wonderful with coffee and I hope you enjoy them! Have a wonderful day!! You’re welcome! I like to keep recipes simple and easy that way anyone can use them! Thank you for stopping by! Have a great day!! We typically buy the can, but this is a great alternative. Our boys enjoying baking, so this should be fun to make with them. They will really enjoy them, it’s a really fun treat to make with children! Thank you so much for stopping by! Hope you have an amazing day!